Friends, before we start the show I'm proud to tell you that Dreamtime has acquired a sponsor. That's right, friends and neighbors, the good people of Hadacol have jumped on the Dreamtime bandwagon, and we're proud and happy to have them aboard. "Hadacol?" you ask. And I say, "Yes!" Thanks to Hadacol, our 17-year-old Top Cat, Curly Lasagna, no longer suffers from the rheumatiz! Now he romps again like the Kittenish he once was. It's true! And then I saw that our other Top Cat, the Amazing Shaggy Bear, who weighs about 16 pounds, was having a little difficulty making those elegant jumps to the kitchen counter that he did so easily when he was a much lighter kitten. So I fed him eight - that's right, friends - eight - bottles of Hadacol, and now I laugh aloud watching Bear jump over a six-foot-fence with ease. And that's not the half of it, neighbors. Yes, Hadacol will work wonders on the livestock. 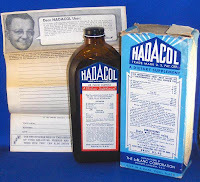 And I've even known some folks to add a bottle of Hadacol to their car's gas tank to put some pep in the old motor. But, speaking of putting some pep back into those old motors, where Hadacol really shines is what it can do for you and me, brothers and sisters. Here's a true story: I was so thin and exhausted and worn to a nub that I went to the Doctor and told him that I was worried that it might be the Hadacol. "Well, stop taking it," he answered. "Doc, it ain't me that's taking it!" I said. "It's my wife!" We'll be back in just a moment, friends, with more about the wonders of Hadacol, but here's a good friend of us all with a musical message. [Theme Time Radio Hour on Hadacol - (Everybody Loves That Hadacol excerpt) "Hadacol was one of the most famous patent medicines in history. It was an elixir created by a Louisiana state senator, Dudley J. LeBlanc. Hadacol is a contraction of 'Happy Day Company' with an 'L' at the end because that was LeBlanc's initial. He mixed the first batch in big barrels. Twelve percent alcohol. B-complex vitamins. Some iron, some calcium. Some phosphorus. Little bit of honey. He put out a pamphlet called 'Good Health, Life's Greatest Blessing,' and talked about how Hadacol was a good remedy for anemia, arthritis, asthma... it goes all the way down to 'ulcers.' By 1950, he had grossed about 20 million dollars. 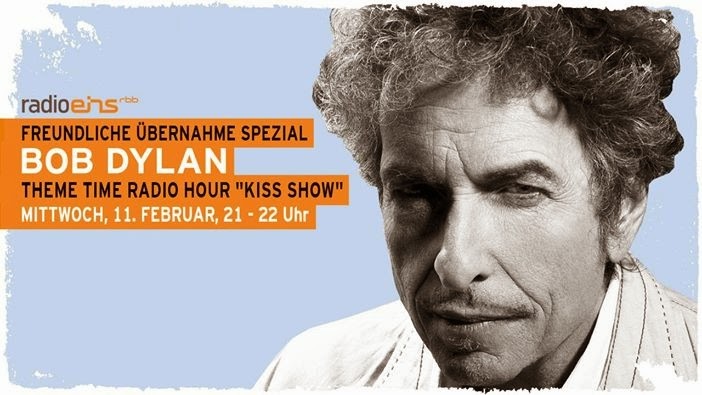 (Valse de Hadacol excerpt) "He resurrected the old-style Medicine Show, and made it even bigger. He had a caravan of 130 vehicles, traveling through the South selling Hadacol. Dixieland bands would play. There were chorus girls and big stars like Connee Boswell. Carmen Miranda, Roy Acuff, Chico Marx, Minnie Pearl, and Hank Williams. And at one point they had a midget and a man over nine feet tall, who displayed the 'before and after' effects of Hadacol. In 19 and 43, Louisiana state senator Dudley J. LeBlanc got a bad pain in his right big toe, a pain that didn't go away but spread to his knees, his arms, and eventually to his neck. Doctors offered different diagnoses—it was gout, it was arthritis. One doctor claimed it was beriberi. Finally, another doctor offered up a miracle cure—a shot that almost immediately began to alleviate LeBlanc's pain. "What is that?" Dudley asked. "Trade secret," answered the doctor. But LeBlanc pocketed the bottle on the sly, had it analyzed, and found out he had been treated with a B vitamin mixture. And thus, Hadacol was born. Or so Dudley LeBlanc claimed. His version of the doctor's miracle dose included iron, calcium, phosphorus, diluted hydrochloric acid, and honey as well as B vitamins. But it also had alcohol, and lots of it, as Our Host noted. LeBlanc mixed up the first batches of his Hadacol in big barrels behind his barn, with neighbor daughters helping out by stirring the mixture with boat oars. When he thought he had the formula right LeBlanc sent samples off to his neighbors, who reported that the stuff made them feel good. No surprise there, as one eight-ounce bottle of Hadacol was the equivalent of two stiff shots of booze. Drawing most of the name from one of his earlier ventures, Happy Day Headache Powders, which had been shut down by the FDA, LeBlanc launched Hadacol, joking, "Well, we hadda to call it something." The patent medicine was an immediate hit in Louisiana, one druggist noting that customers with "holes in their shoes" would lay out as much as $3.50 - serious money at the time - for a 24 oz. 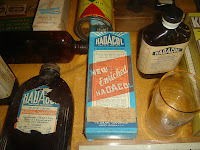 bottle of Hadacol. A typical Hadacol ad was laden with testimonials such as, "I . . . was suffering from ulcers of the stomach . . . . my wife persuaded me to take HADACOL. . . . I can now eat almost everything . . . even pork." In 19 and 48 Senator Dudley gathered up the best of those testimonials and reprinted them in the pamphlet Dylan mentions: Good Health, Life's Greatest Blessing. Grateful customers cited how Hadacol had cured them of various ills, including anemia, arthritis, asthma, diabetes, epilepsy, heart trouble, high and low blood pressure, gallstones, paralytic stroke, tuberculosis, and ulcers. By 19 and 50, the Hadacol empire had grown to embrace over 22 states, grossing over $20 million that year. Twenty million bottles sold in ten months. Twenty-seven million bottles sold in a year. "You have to be satisfied," the Hadacol ads ran. "Or we'll gladly send back your money." 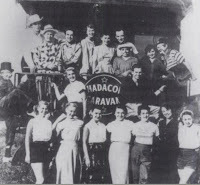 In the summer of 1950 Hadacol sent out a caravan of 130 vehicles to tour the South, including seventy trucks, twenty-five cars, two air-conditioned buses for the talent, a rolling photolab , two beauty queen floats, three sound trucks, two airplanes, steam calliopes, and sometimes a train dubbed the Hadacol Special. The first edition of the Hadacol Caravan covered 3,800 miles, playing one-night stands in 18 cities. The shows were nominally free, "free" meaning customers could bring in two Hadacol box tops, the equivalent of $3, for admission. Each night an average 10,000 fans would show up up to hear a Dixieland band play Hadacol Boogie, a song originally commissioned by LeBlanc for the jukebox crowd, and to watch chorus girls give an animated history of the bathing suit. 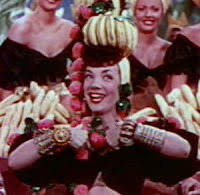 As Mr. D. noted, stars such as Carmen Miranda, she of the fruit bowl head dress, Roy Acuff, Minnie Pearl, and Chico Marx would be some of the headliners. To digress for a moment, Our Host also mentioned Connee Boswell as another star of the Hadacol Caravan, a name that's probably not as familiar to my listeners as the others. Together with Martha and "Vet" Boswell, Connee had been part of The Boswell Sisters, a major vocal act of the `30s. The Andrews started off their careers as Boswell Sister imitators, and Ella Fitzgerald cited Connee's vocal styling as an influence. By the mid-1930s the sisters had broken up, and Connee would go on as a successful solo act, including stints with the Hadacol Caravan. Dudley LeBlanc acted as the master of ceremonies for the Hadacol Caravan until the troupe invaded the West Coast, where he turned hosting duties over to Mickey Rooney for a month-long stand in Los Angeles, and brought A-level Hollywood stars on board the Caravan, including Chico's brother, Groucho, and Mickey's best gal pal, Judy Garland. Next year, the Hadacol Caravan was at it again, this time producing the biggest Medicine Show of all time. Clowns whose noses would light up after a big sip of Hadacol. A swing band and Dixieland jazz. A home-town beauty contest every night. A man who skated on his head. Dancing girls, tumblers, comedians, funny songs from Carmen Miranda and Minnie Pearl, a midget and a man over nine feet tall. A rotating cast of big-name stars played host, including Caesar Romero, Jack Benny and Rochester, Milton Berle, Rudy Vallee, Bob Hope, and Jimmy Durante. Even heavyweight Jack Dempsey showed up to pitch war bonds to the crowd. And closing the show... a driftin' cowboy named Hank Williams. Williams was no stranger to Hadacol, the nostrum having been the main sponsor of his Health and Happiness radio show, excerpts of which we played back on Episode 48 of Dreamtime. And Williams was a major attraction - maybe the major attraction of the 19 and 51 edition of the Hadacol Caravan. Bob Hope made the mistake of insisting that he had to close the show after joining up with the Caravan in Kentucky, and in retaliation Williams played a blistering set as next-to-last act, closing with a Lovesick Blues that had the crowd screaming for more. Bob Hope tried to take the stage and was greeted with jeers and calls for Hank to come back. Hope eventually pulled an oversized cowboy hat over his head, and when the crowd quieted enough for him to be heard, sheepishly introduced himself as William's long-lost brother, "Hank Hope." When he made his way off-stage, Hope turned the closing slot back over to Williams, saying he'd never make the mistake of following him again. But, all was not well with the Caravan, and the end was near. On Saturday, September 15th, 19 and 51, Dudley LeBlanc sold the Hadacol name, formula, and production company for a reported eight and a half million dollars, and shut down the caravan on the following Monday, incidentally stiffing many of the performers with rubber checks as their final payment. LeBlanc would later regret the sale, claiming he never saw more than a $500,000 down payment, and noting in an interview that, "...if television had been as big back then...I'd never have sold. I'd have put a dead woman on the ground, poured a bottle of Hadacol in her, and have her spring to life!" You can only imagine the number of bottles that TV infomercial would have been sold. The Amazing Ginsu would have had nothing on Hadacol. There's a lot more stories about Hadacol, the Caravan, and Senator Dudley LeBlanc. I haven't told you about LeBlanc's offer to provide a parrot with a gold cage and entree to the finest hotels if it would only learn to say, "Polly wants Hadacol!" or the "Captain Hadacol" comic book, where the namesake character offers eight bottles of Hadacol to a young fan, telling him to drink them all at once for "immediate super-strength." I haven't mentioned the story about Hank Williams threatening to break his guitar over Milton Berle's head, or the other Hadacol touring show, featuring jazz and blues artists, instead of country-western stars, and designed exclusively for Black Southern audiences. "Why, it was good for five-and-a-half million dollars for me last year." Hadacol Corners -Slim Willet and the Brushcutters. It's worth noting that the B-side of this single was Willet's composition and mega-crossover hit, Don't Let the Stars Get in Your Eyes, a song and story that deserve their own Dreamtime. Hadacol (That's All) - The Treniers. Another group that deserves its own Dreamtime. Sources: For those interested in learning more about Hadacol, the Hadacol Caravan, and Senator Dudley LeBlanc, a good starting point is the Wikipedia article on Hadacol. Also worth reading is Chapter 15 of The Medical Messiahs: A Social History of Health Quackery in Twentieth-Century America, which I'm pretty certain was the primary source for the Theme Time Radio Hour research crew and Our Host's monologue. Other sources I used included: Snake Oil, Hustlers and Hambones: The American Medicine Show by Ann Anderson; The Hadacol Boogie by Jeremy Alford; Hank Williams: The Biography by Colin Escott, George Merritt, William MacEwen; Sing a Sad Song: THE LIFE OF HANK WILLIAMS by Roger M. Williams; and Hank Williams, So Lonesome by Bill Koon and George William Koon.